Was your goal to lose weight? Why haven’t you lost weight? Was what you did not sustainable? Did you make the same mistakes as every other new year new me? So my question is - why didn’t you get help? The world is on a diet, websites, social media, book shelves are full of the latest diet craze, all promising you the next quick fix yet all will leave you right back where you began, without ever making any progress. So what does the word diet mean to you ? Says nothing about removing foods that you enjoy, doesn't say that you cant eat carbs, doesn't say that you should suffer mentally and physically, leaving you drained physically and emotionally. So why do people enforce suffering on themselves repeatedly without making any type of progress every time they do it, the only actual progress they make is in ruining there already ruined relationship with food. It's crazy the amount of people that are stuck in this diet cycle, unable to break it, but then have they ever really seek d help to do so ? Just think about the amount of money you have wasted in the past on trying to lose weight, when you total this up it will come to way more than actually investing in somebody to help you would have cost, and you would have made real progress, not been stuck and wasting yet more money. Everyday i get asked for help, everyday i hear i cant afford it, but when you look just at what you have wasted in the past that excuse does not stand up, and that's without going in to what people waste now on stuff they do not need. So whats it going to take for you to invest in yourself ? to invest in your health ? to invest in your happiness ? Our Unlimited Personal Training program is the ultimate weapon in your fight against breaking this diet siege mentality you are caught in, but it is no magic fix, there is work involved, so if you are looking for magic this is not for you, but if you have had enough of diets, been over weight, unhealthy and unhappy then i'd love to hear from you and hopefully be able to help you. The fitness industry is full of before and after pictures, some completely amazing, but something that pictures will never tell is the real story behind those pictures. Ive had the privilege to help transform many people over the last 17 years inside my Hartlepool gym and meeting and working with this lady inside of my Personal Training program has been a real honor. As coaches and trainers we like to think that we can change everybody we meet, but unfortunately that's just not true, those we meet have to be ready for change, and even tho we meet thousands of people that say they want help, most are not ready for help, Beth was ready for help and this is her story, in her words and what it has done for her. When I first met Ian I was at a very low point in my life after suffering from depression and a lifetime of dieting and low self esteem, I thought I would never find a way out. I had joined a few gyms in the past, only to find them dull and uninspiring and often quite unfriendly. However, earlier this year I read about some amazing success stories on Ian’s website. This place seemed to be different. Ian’s “no diets” approach to weight loss was so refreshing. So I made the best decision of my life and went to ask Ian for some help. I must admit, I was worried in case I was going to end up going down the same road again, ending up a failure. But I needn’t of worried, within seconds of meeting Ian I knew he was special. Not only did he make me feel welcome, but he treated me with respect and fully understood my background. I asked him if it was too late for my 55 yr old self to lose weight and become fit. He told me it was “never “too late and from that moment Ian was able to help me believe in myself again. It became clear that Ian had such a profound knowledge of fitness and nutrition; from the start he showed me a genuine pathway to a strong body and mind. That day I arranged to start some personal training sessions with Ian and my life changed dramatically. I love coming to the gym, whether its on my own or training with Ian. I can feel my body becoming stronger, I’m losing weight without dieting and I’m learning about health and fitness in a totally new way. In around 6 months I already feel fitter than I ever have been, I’m starting to take part in running events that I wouldn’t normally have the courage to do, and running faster and better than ever before. Trust me, this is like no other gym and Ian is like no other coach. All the trainers at Ian’s gym are friendly and encouraging. It’s a place where real results are happening all the time, there are no failures here. Through Ian’s expertise I can honestly say that he has given me my life back along with myself worth, I feel so free. Above all, along with his knowledge and enthusiasm, Ian has a rare “generosity of spirit” that comes from within. He always gives more of himself each day, to help people reach their goals and their full potential. I’d like to think that somebody like me, who wants to change their life, or break that diet spell, is reading this right now, and is considering if they should come and speak with Ian , take my advice, just do it now, just ask for help, you will have taken the most positive step towards achieving true success. Are you really ready for help ? So yet more research was just published that really should put the fear over carbs to bed once and for all. Regardless if you decide to go low carb, low fat, its not making any difference to weight loss, because weight loss comes down to energy, calories, using a nutrition strategy that can be sustainable for you long term, and provide you with good health, always has, always will. Yet its crazy how many people that i meet on a daily basis at my Hartlepool gym that come seeking advice that still believe that you cant eat carbs if you want to lose weight, and yet even more frightening, it is personal trainers that they are reaching out to that are still pushing this nonsense. They still taking about genes and insulin been a factor in your weight loss efforts, yet this study yet again nailed this theory as having no impact at all and that what ever nutrition strategy you choose it should come down to personal preference and sustainability. So the question is why are these commercial gyms and their Pt's still pushing this nonsense to people ? Gym's and personal trainers pushing and selling low carb, no carb diets, telling people they have to avoid carbs, ruining peoples relationship with food yet further, like it wasn't bad enough before they went looking for help. Inside of our Hartlepool gym we are big on education, using the latest information to help those that choose us to help them, not lie to them, we meet people everyday who's relationship with food is terrible, who have been lied to, who have the completely wrong information about how weight loss occurs and what it takes, and the majority of the time its come from personal trainers. Our Personal Training program is more than just your average personal training program from your average personal trainer that's willing to push this nonsense to try and get quick results to make a quick £, we don't just train people, we educate people, we guide people, we create understanding with those that we help that they have a firm understanding of how weight loss works and what its gonna take for them to not just successfully lose weight, but keep that weight off long term, it takes more than just a diet and a workout. What we do at our Hartlepool gym, how we approach personal training in Hartlepool is nothing like what others are doing, probably down to the fact that we have the most experienced personal trainer in Hartlepool leading our business, we have been helping transform people, improve their health & fitness, their relationship with food and their happiness, they say you cant buy or fake experience, and that's the truth. Does your trainer or coach have patience with you ? or are they the army drill type that are all up in your face screaming and shouting for you do do what ever they want you to do. This approach is flawed and does not work, having a coach or trainer that is a dictator will end like all dictatorships do, with rebellion. You must have understanding that people want what's best for them, what's the best way for them to make progress and achieve results and for any coach or trainer this should always be at the forefront of what you are doing, its about helping the people that come to you, not doing what's best for you, just to fit in with your training methods or schedule. Can you understand people, can you communicate with people on their level, do you have the patience to deal with people and what they bring ? I've recently just met a lovely guy inside of my Personal Training program that needs a little more time than others, he's a proper gent, polite, well spoken, will give you 100% every time, yet after speaking with his mam found out that she had approached others about helping to train her son and as soon they found out that he requires a little more time and patience they didn't want to help. This doesn't surprise me but it does disgust me if you in a position of calling yourself a coach or even a trainer, but like i did tell his mam, it speaks more about their lack of ability than it ever will about her son an they really are in the wrong job. And this isn't the first time this has happened, i had a mam tell me how her son was turned away from other Hartlepool gyms after he had brain surgery, yes i said after, after when he needed help with his health as his weight started to increase. 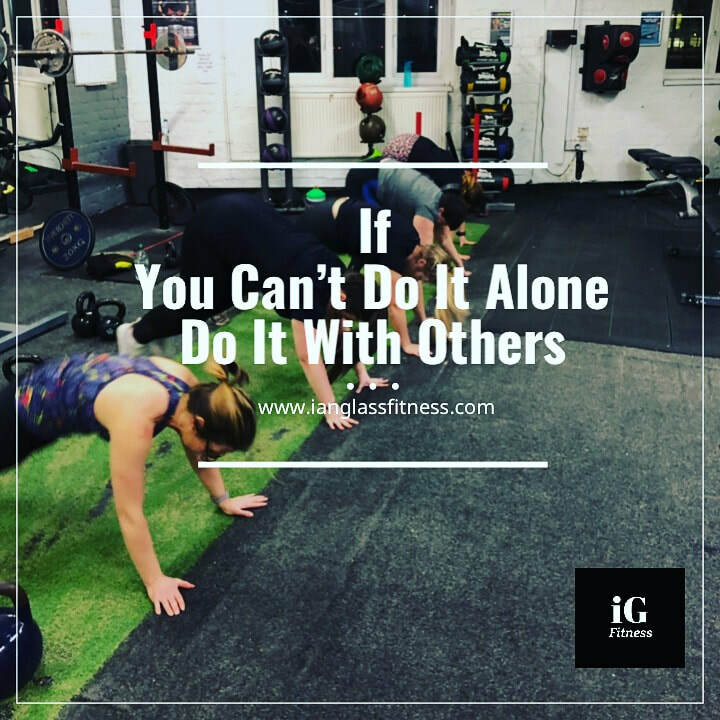 Our Hartlepool gym is open to everybody that needs help, and if there are those that need help on a level that may require other types of professional help, then we will help you seek such help, you wont just be left to struggle on alone. I meet new people pretty much everyday, consultations with those that have applied for help, replying to messages about wanting help, and something that i always ask people is what level of help do you think you need and want ? Do you want somebody to just put you through a workout ? Maybe give you some type of generic diet plan ? Maybe even supply you with motivation and blow smoke up your backside, well guess what , the fitness industry is full of personal trainers that will do just that, just not in my Hartlepool gym, we are no ordinary personal trainers, in fact i have grown to hate that term, people putting all those that train people in the same bracket, well don't do that with anybody that's under my roof, as a lovely young lady told me yesterday when asked why she hadn't seek help earlier, "i thought you were all the same", i just wish id asked for help sooner. Ya see people that really need help, do not need diets and training plans, the problems are way deeper than that, every single person that has made life changing transformations since i started coaching people didn't just need a diet or putting through a workout, they needed help finding clarity on what it was that's causing the underlying problems, what was really causing them to react the way they do, not just with food either, they needed somebody to unlock and let out what it was, to have understanding and empathy, this isn't happening with any pt that doesn't have life experience and a skill set that's took many years of work to build up and understand in a manner to then be able to give back and help others. Back when i was over 300lbs i knew i should lose weight, i was already training so it wasn't yet more workouts that i required, i needed to know why i had let myself get to that point, to inflict what i did on myself, why was i punishing myself, i needed a break through as to why, can you imagine if id have reached out for help and simply been given a diet plan and paid for some training sessions, i can 100% guarantee that no matter how much weight id have lost id have regained if i didn't deal with they real reasons, the why, because as soon as id have went through the situation that caused it, i would have reacted the same, unless you have been through this them you will never understand it. There are many out there selling solutions to problems they have never ever faced, so how on earth can they have any understanding on how to begin to put it right. I have learn t many valaubale lessons on my journey through life, especially when it comes to health and weight loss, Ive been at every end of the spectrum with my weight, lessons that are now passed on when helping others, lesson that are not diets and workouts, ill leave that for others to do, ill stick to coaching people to make real change. Its amazing that with all the access to information that people have that they still believe weight loss comes down to taking some form of magic drink or pill and somehow that will transform all the years of binge eating that have gone before. Weight loss comes down to one thing and one thing alone, expending more energy ( calories ) than we are taking in, got nothing to do with any detox kit, no skinny coffee is required and no magic 60 second abs. Now been formerly obese myself i know that people are desperate, they really want something right now that's going to make rapid change, but unfortunately its just not happening through any magic drink, pill or potion but maybe meeting the right person to explain this and have a break through might be that "right now" moment. The amount of people that met and helped through this process over the years is massive, doing it through such programs as my Personal Training or even them just joining my gym business in Hartlepool but always having somebody there to help them and advise them, been there for them through the difficult times that are going to happen when embarking on any serious weight loss journey, this is whats going to be a game changer, not some silly drink me now and lose weight product. Why people insist on just throwing money down the toilet is just crazy, you have tried it many time before I'm sure, so you already have first hand experience and you know the truth as to how this ends, so why keep repeating it ? The next time you see that quick fix advertised on social media just remember to spend a little time reminding yourself of the facts you have at hand and save yourself some money time and heartache again. In a world blighted by obesity and poor health, the fitness industry which i believe should be at the forefront of helping to fight the problem is hell bent on scaring those that need help talking about eating chicken and broccoli all day long and prepping meals like their weight loss depends on it. Just imagine if the fitness industry just focused more on helping people just to start lose weight over preaching how to eat, taking people that really need help and just getting them to understand that to lose weight we have to cut back on how much we are eating, not what we are eating. A school teacher in America did just that by losing weight on eating nothing but McDonald's alone, John Cisna lost over 56lbs eating what most would describe as unhealthy food and food that you could never lose weight eating. John Cisna weighed 280 pounds when he started on the McDonald's-only diet. After 90 days, he had lost 37 pounds, and at the end of the six months, he weighed 224 pounds. Cisna limited his daily calorie intake to 2,000 calories and exercised for 45 minutes five times a week. They have now made a documentary follows his journey, while incorporating footage from an amateur video he filmed while conducting the experiment. In the film, Cisna pushes the message that you can eat anything you want as long as you control calories and exercise. Cisna says he ate almost everything on the menu, and ordered fries every single day. "I ate 540 straight meals at McDonald's," Cisna says. "I spent a half a year of my life eating nothing but McDonald's and I know it works so when I hear the skeptics, it doesn't disgruntle me. It actually fires me up because those are the people that I have to educate." So successful weight loss doesn't have to be chicken and broccoli, everybody these days is on a diet and failing massively, just imagine if we just educated people on how weight loss occurs or if we actually took time to understand where people are actually at with their eating habits and relationship with food and not try to force them to do something that's never gonna last at the stage they are at now. 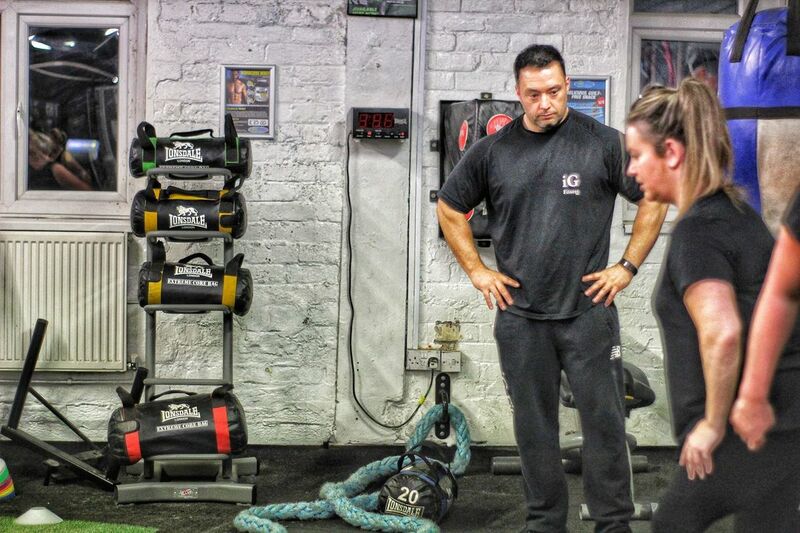 This is something that we educate people on that enroll in our Hartlepool Personal Training program, we do not try to make massive drastic changes that will not last, i guess coming from a place of once been massively over weight i have an understanding that most never will. No chicken and coolie protocol for us. you wanna bash people for moving ? I seen a post the other day from some fit pro bashing people wearing fit bits and the like, claiming that they aren't 100% accurate, and they calculating peoples movement and calorie totals out wrong, its quite funny, these type of people always have to be right but cant see the bigger picture for their own ego. We have an obesity epidemic that shows no signs of slowing down, people are moving way less and eating way more, yet this fit pro choose to make a big deal over whether or not the fitness device is 100% accurate, is anything we do 100% accurate, i don't know how this person must sleep at night not knowing if everything they did that day was 100% accurate. 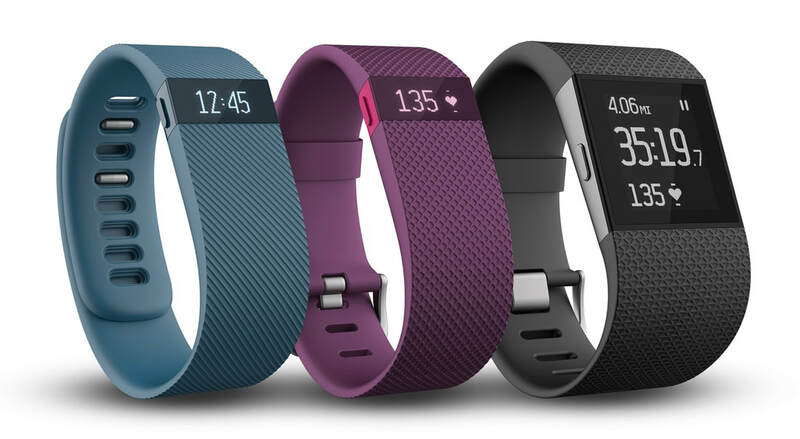 Hows about instead of moaning about what ever fitness device people are using, we actually give some praise to the device that might just get people to move a little more, is complaining about people hitting their 10.000 steps a day really required because it may not have been 10.000 steps, is it not a good thing that people start moving more ?